In relaxed, comfortable surroundings and with the world’s leading dental technology, the professional in dental care will help you achieve healthy teeth as well as an attractive, confident smile. Dentists understand the pressures of people who work in the City of London and incorporate that understanding into every aspect of their practice. Dental cares provide a range of services from routine examinations to full mouth restorations. They are aware that many of their patients are time poor, so they can provide early morning and late evening appointments. If you are a nervous patient, dental carres can provide special care and will make sure you are at ease. 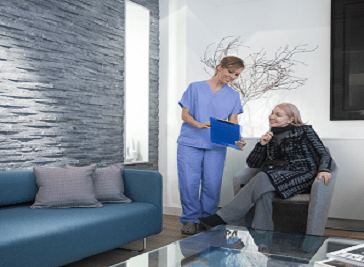 Cosmetic dentistry is booming and here at City of London Dentist dentists are delighted to offer clients treatments which can give them the smile they've always dreamed of. The dentists are constantly mastering new skills to ensure they offer the most effective, innovative treatments courtesy of continuous training and study. Cosmetic treatments such as veneers and teeth whitening have become increasingly popular in recent years. In just a few weeks, City of London Dentist can transform your look and give you a healthy looking, bright smile. When you walk into Bow Lane, you will immediately notice their friendly atmosphere. They are full of smiley, caring professional people and are here to make you feel at ease. They treat you with respect; they do not judge you and you will know that you are in good hands. Bow Lane Dental is a long established clinic that listens to you and cares about you. They have all the specialists under one roof including an on-site laboratory, to get the best possible result for the various parts of your treatment. You won't be kept waiting weeks for anything here at Bow Lane. Metrodental is recognised as one of the leading dental practices in the City of London. They have won numerous awards in the dental industry including Best Dental Team in London and Best New Dental Practice in London at the prestigious National Dentistry Awards. Their two practices are conveniently located near Bank, Monument, Liverpool Street, St Paul's, Bishopsgate, Aldgate, Moorgate, EC3, EC4 in the City of London.